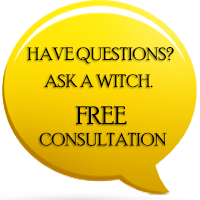 These past few months we received a message from a brand new client of the 7Witches Coven. They shared with us a situation we have come to see far too often in the modern world of romance. We have now spoken and consulted with this precious Spirit, and can reassure all of you that with the Magickal guidance of 7Witches Coven, they are now on the road to recovery. However, with permission we would like to share with you their problems below. I have finally divorced my husband. The paperwork is done and we are no longer in contact. It was a very toxic and stressful relationship which often left me afraid and in the dark alone. My divorce has torn apart my finances as well as my emotional health. I feel hollow, empty, exhausted but mostly doubting my self-worth. I’m lost and I don’t know if I will ever feel love again. Please let your Magick help me find my way back to happiness. Divorce is one of the most life-altering and emotionally harrowing experiences a Spirit can go through. It is a multifaceted problem requiring healing in several areas of life. Once the hurricane of divorce has abated, it is normal to feel left alone on an empty ravaged land. To pull a client back from the devastation of divorce we must often Cast several Spells. Here are the Spells and guidance we provided for Drained Divorcee below. You have to move on and give yourself permission to be happy. You are a beautiful, worthy individual who deserves the attention and the fun that comes along with it. Go out into the world and begin again. Please let us know your thoughts in the comments section below as well as anything you all would like to discuss in the future. Been there. Sorry to hear that happened, it does have quite a sting to it worse than death, you will come out stronger in the long run its gonna take time. There really isn't instructions to guide you through this time of your life stay in the Bible and fly on a wing of a prayer. It will work every time! Hello to all. I was divorced 6 years ago, a bitter ordeal, and I didn't like being single. So I started dating 1 week later, and remarried 2 weeks after that. Never looked back, and am still married, and happy, after nearly 6 years. This time I picked my perfect soulmate and within 2 years we were first initiates into the craft, and love it. Hi, as a Gay, Man I went though a Break up, 3 years ago, and I know, the Emotional Pain this Can Cause, and I did Prayed, and Meditated, and Looked within my self, and Made up my Mind to Do ALL the positive things for ME, and LOVE my self, as With others,and MOVE ON, enjoy your life,give time to your self, I now Workout, at a GYM, and Go Bike riding, and hiking, and Just Be ME, Fine Positive Friends, People, and Have FUN And Just Let it BE,.. Good Luck, and I too will pray for you, Have a Good/Blessed Day, with light, Life, and LOVE. Peace Be with YOU, Robert Rico.